What is the Foseal WiFi OBDII Scanner? Why should I buy the Foseal WiFi OBD2 Code Reader? Vehicle scanners come in all shapes and sizes. The general rule is, the bigger the product the higher the price, but you get more features in exchange. Of course, if you really want a professional quality OBD-II scan tool then you’ll have to pony up some serious dough. But we won’t let that happen, because we have an OBD-II scanning tool that is more compact than an average smartphone, and it is also unbelievably cheap. We’re talking about the Super Mini Car WiFi OBD-II Foseal Scan Tool and Scanner for iOS and Android. Let’s address the elephant in the room: as of the writing of this review, the Foseal WiFi OBDII scanner costs less than $19.98. There you go. It is also small and compact, and can fit in any cubbyhole inside your car. Of course, where it really belongs is under the dashboard, where it discreetly performs like a true champion. 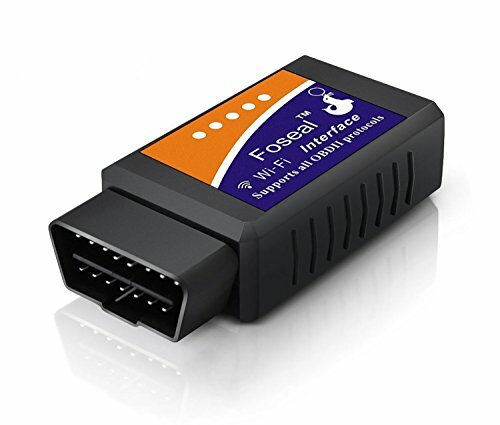 If you have a check engine light or MIL (malfunction indicator lamp) in your console, and if your car is OBD-II compliant, then the Super Mini Car Wifi OBD-II Foseal Scan Tool is worth a try. The best thing about this scanner is that it works via Wifi, so you can use your Apple or Android device to read, diagnose and erase OBD-II trouble codes. The Super Mini Car Wifi OBD-II Foseal Scanner is also compatible with all OBD-II protocols, including CAN-BUS. It will work on all OBD-II compliant vehicles with a valid 16-PIN DLC data link connector, and all you need is a WiFi connection and your Apple or Android device. How easy and cool is that? If you fix cars for a living, own more than one car, or just like to see how well your car runs, then this scanning device is perfect for you. You can scan older cars (from 1996-current) and switch to a newer model without changing scan tools. The WiFi capability is just brilliant. The Super Mini Car WiFi OBD-II Foseal Scan Tool is not a Bluetooth scanner, so you need a WiFi connection to make it work. But once plugged in, it is super easy to use. The interface is smooth and fast, but your phone has to be relatively close or you’ll see some lags. But still, the performance is impressive, considering the price. Oxygen sensor voltage reading, and a lot more. 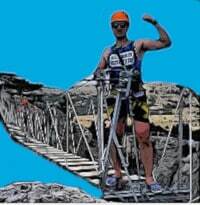 Think an ordinary code reader can do that? We don’t think so. The Super Mini Car WiFi can be used by the average Joe, but it offers a multitude of features for the professional mechanic. Want to monitor the effects of engine tuning in real time? This is the vehicle scanner for you. It will even work while you’re on the go, and you can constantly monitor all the vehicle parameters while driving your vehicle (of course, you need to have WiFi on-board). Since there are no wires involved, you can park your iPhone 6 or iPad on the dash while reviewing the data from the Super Mini Car WiFi scanner. The best part is that this device can read and scan manufacturer specific error codes, including generic trouble codes. It eliminates all the guesswork for you, and there is no need to use a separate scanner. It works on American cars and pickup trucks, and it will also work on your favorite Japanese imports, including European model cars. Read, scan and erase diagnostic trouble codes, including generic and manufacturer-specific trouble codes. Turns off the annoying check engine light in your vehicle console. It not only determines the trouble codes, but it can display the meaning of the code on your iOS and Android device using the code definitions database. You can access over 3,000 generic code definitions, so there is no need to use a separate device to unearth that pesky trouble code. Displays current sensor data for complete vehicle diagnostics. The real-time sensor data is especially useful if you like tuning your engine, or if you want to determine the effects of engine modifications or aftermarket performance parts. Supports Apple iPhone 6, 6 Plus, 5S, 5C, iPad Air, iPad Mini 4 and Android devices including the Samsung Galaxy S4, S5, Note 2 and Note 3. It will also work on the LG G2 and the Google Nexus. Also compatible with Windows. Also, be aware this scanner will not work on Apple devices running iOS version 5.1.1 or later. Still, if you want a cheap OBD2 vehicle scanner then you should definitely consider the Super Mini Car WiFi OBD2 Scan Tool. Well, that’s all we’ve got for now. I hope you enjoyed this Foseal WiFi OBDII Scanner Review. If you have any questions, please comment below! Don’t miss our other reviews for Wifi OBD2 scan tools here and our guide to choosing the best OBDII wifi scanner for your needs!